ATI is committed to bringing its clients the best products in the industry made by its most trusted manufacturers, and Columbia Boiler, in the business since 1936, easily "makes the rank." ATI can assist you in selecting and ordering the most appropriate piece of boiler auxiliary equipment for your commercial/industrial application. Columbia Boiler is well known for its reliable, efficient, and durable line of steam boilers, and their accessory products are not less high-quality. It is the accessories that give you the edge, in many cases, on achieving optimal efficiency and safety levels. Columbia condensate returns are built of heavy-gauge steel, can be horizontal/vertical in orientation, use float-operated make-up valves, have high-positioned suction pipes to prevent sediment entry, and come with water-level gauges, drip-proof turbine-pump motors, and relevant connections. 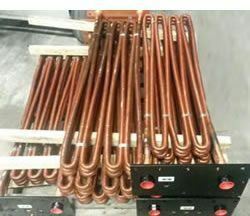 Columbia can add high-quality copper coils to your boiler to give it the ability to produce potable hot water, and in essence, function like a tankless water heater. They use virtually no extra energy and take up no additional floor space. Columbia's high-efficiency boiler feed systems make it easy to add just the right amount of feed water to your boiler system at precisely the right time — the process can even be automated. This will greatly extend the life of your boiler. Columbia blowdown separators are take water from the tank bottom and mix it with hot water/steam present in the separator to lower the outlet temperature to safe-discharge levels. They also use a valve on the boiler's bottom to flush out solids accumulating at the bottom of the tank that could otherwise cause rust, lower efficiency, and shorten the lifespan of the boiler. 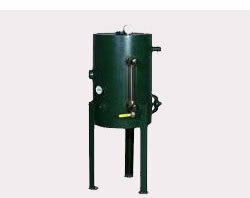 They also help keep boiler top water at optimal efficiency temperatures and improve steam quality. 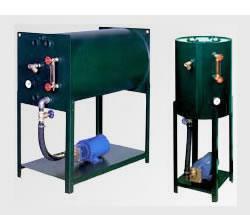 Finally, Columbia blowdown separators reduce limescale build-up and lessen maintenance needs/costs. ​Columbia's blowdown separators are ASME and National Board approved, work well with low/high pressure systems, and have a hand hole for easy access and maintenance.